I can hardly imagine what I would do if I had kids. Six years old and she already knows the day after Christmas is associated with lower prices – a young consumer. 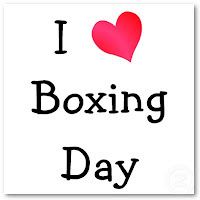 All this talk got me thinking about what types of industry would issue discounts on Boxing Day. First and foremost, there is electronics. Everyone wants them and with the product turnover rate it just makes sense to sell something at a “cheaper” price before the actual price of the product drops one month after Boxing Day. Grocery stores might also have some really good options on Boxing Day. Think about it, they bought a large variety of stock to supply the needs of Christmas and one day later they have an abundance of items that didn’t sell. What do you do? Lets have a sale. I was asked, “Why don’t car dealerships ever offer sales?” If you think about it, people will still want to buy cars even after Christmas and Boxing Day have come and gone. The car market is structured differently and new models aren’t made available on January 1st they have different release dates. When you wake up the morning of December 26th I want you to turn on your TV and find your local News channel and tell me if they are covering a story about people lining up in front of a store to get an awesome deal. You’ll probably even see an on the scene reporter who stops people on their way out to ask if they can check out what people purchased. It creates a spending frenzy. If this person on the news is getting a “great deal” why aren’t I? Before you know it you’ve hopped in your car and started making your way to the closest shopping centre. At the end of the day, you really need to ask yourself, “Is there really a deal?” I remember when I used to work in retail. 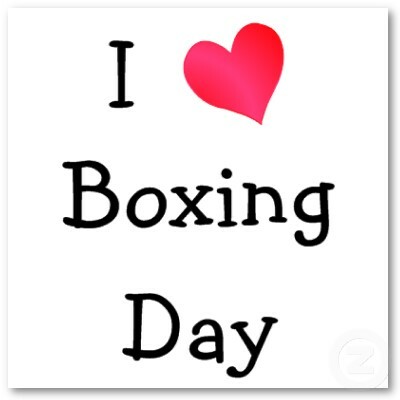 Boxing day was one of the busiest days of the year. We would often have people lining up out the store, but why? There wasn’t a deal – customers just assumed there was. Maybe there is a deal for the first 50 purchases or while quantity lasts, but at the end of the day – prices stay the same. 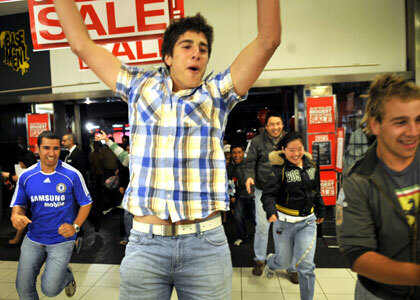 This is called the "Thrill of a Deal" an adrenaline rush!! Everyone wants to get "That" elusive deal!! if it there is one? Myself I would rather sit at home with my feet up and eat a yummy bar of chocolate!! lol..... you get the same feeling plus you don't get lumbered with something you really didn't want, apart from.... a bigger waistline! !